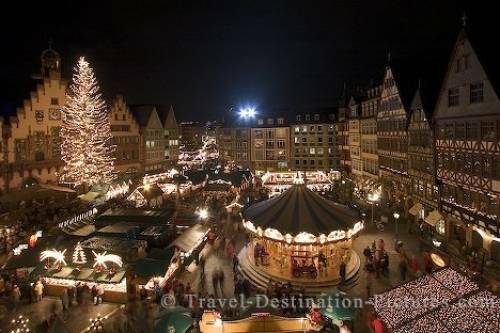 The Frankfurt Christmas Market is one of the biggest christmas markets throughout Germany. Seen from the balcony of a nearby church the whole place is bustling with celebrations and christmas spirit. Picture of the Christmas Market in downtown Frankfurt, Germany, Europe.